Big Data, perceived as one of the breakthrough technological developments of our times, has the potential to revolutionize essentially any area of knowledge and impact on any aspect of our life. Using advanced analytics techniques such as text analytics, machine learning, predictive analytics, data mining, statistics, and natural language processing, analysts, researchers, and business users can analyze previously inaccessible or unusable data to gain new insights resulting in better and faster decisions, and producing both economic and social value; it can have an impact on employment growth, productivity, the development of new products and services, traffic management, spread of viral outbreaks, and so on. But great opportunities also bring great challenges, such as the loss of individual privacy. 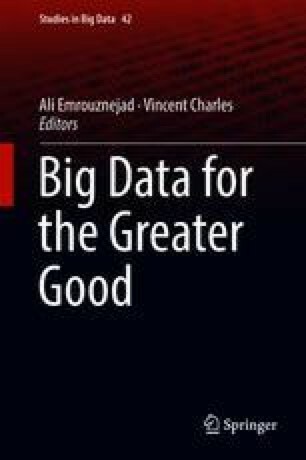 In this chapter, we aim to provide an introduction into what Big Data is and an overview of the social value that can be extracted from it; to this aim, we explore some of the key literature on the subject. We also call attention to the potential ‘dark’ side of Big Data, but argue that more studies are needed to fully understand the downside of it. We conclude this chapter with some final reflections.